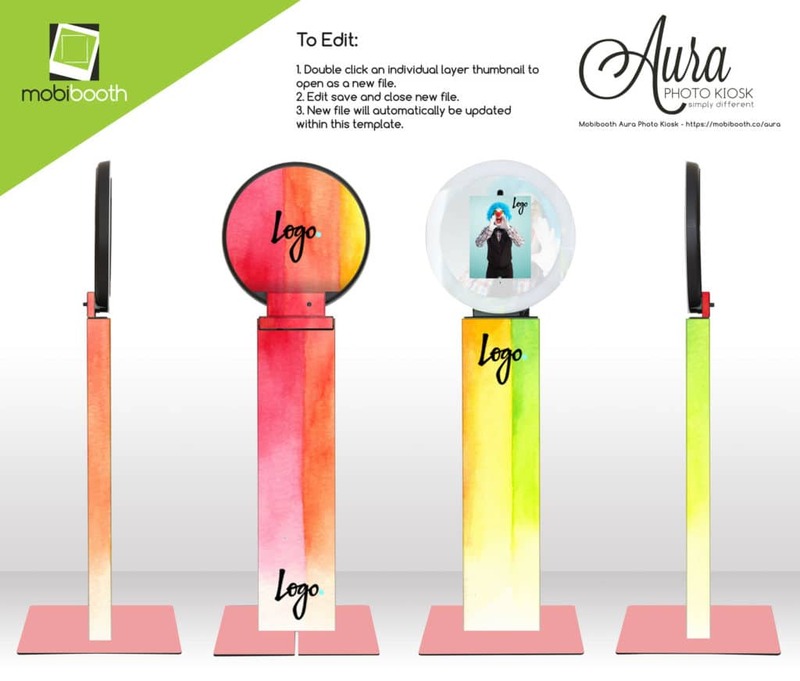 Wrapping your Mobibooth Aura™ can be a great way to make some extra cash on that next big event or to stand out at that next expo. Below you’ll find links to template files that can be used to properly layout your wrap. You can do any or all of the elements on your booth. If your Aura was shipped before May 1, 2017 you have a version 1. These are the files you’ll want to use when designing your wrap. Contains both an Adobe Illustrator file (AI), Photoshop (PSD) and PDF version. If your Aura was shipping on or after May 1, 2017 have a version 2, 3, 4, 5 or 6. These are the files you’ll want to use when designing your wrap. Contains an Adobe Illustrator file (AI), Photoshop (PSD) and PDF version. If your Aura was shipped on or after November 1, 2018 you have a version 7 or newer. These are the files you’ll want to use when designing your wrap. Contains an Adobe Illustrator file (AI), Photoshop (PSD) and PDF version. Contains an Adobe Illustrator file (AI), Photoshop (PSD) and PDF version. You can download this file to provide your clients and prospective clients with a visualization of what your wrap concept is.